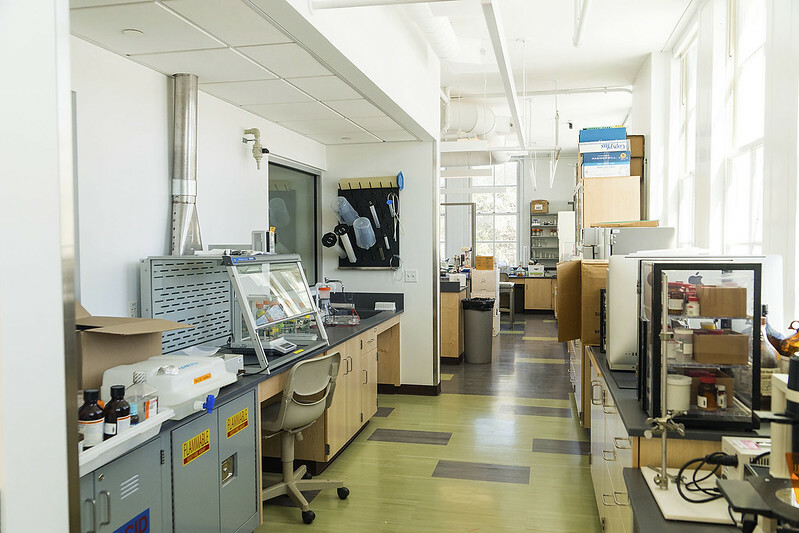 The Biology Department has newly renovated facilities that enable students at all levels to engage in cutting edge research in molecular and cell biology. The Department maintains fully-equipped research laboratories for faculty and senior biology majors, a media kitchen, a fish facility, instrument rooms, dark rooms, and multiple constant temperature rooms. The Department also has access to machine shop services, provided at cost by a jointly managed Physics/Chemistry/Biology facility. JEOL JSM-6510LV/GS Scanning Electron Microscope equipped with a Nabity Nano Pattern Generation (NPGS) Electron Beam Lithography (EBL) System. imaging and computational resources including Alpha Innotech imaging workstations with transilluminators.